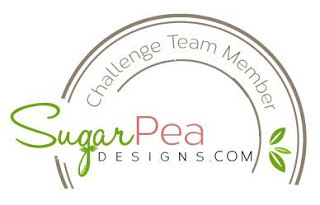 Hi and welcome to the third challenge at The Flower Challenge. 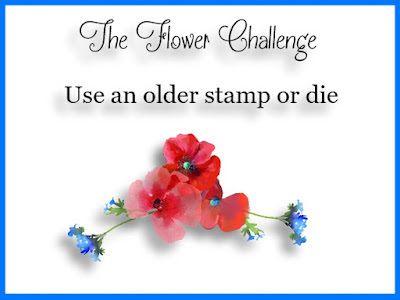 This month we are challenging you to use an older stamp to create your floral card. 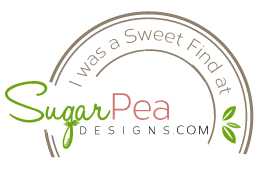 For me, my older stamps are from the early 2000's when I first discovered stamping. I don't get rid of my stamps so I went to my floral wood-mounted stamps and came up with an old and beautiful PSX stamp. I stamped the image onto a panel of X-Press It cardstock and colored it with my Copics. I then trimmed the sides so I could have strips of lime cardstock. The sentiment was stamped and cut out as it is actually a speech bubble so I cut the speech part off. Thanks for dropping by! 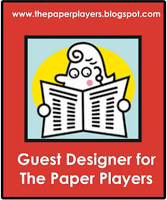 The rest of the design team have some floral beauties using their older stamps so please check them out. And have a go yourself - the challenge is open until the 20th this month to allow the DT a break over Christmas. Hello Karren: This Tulips look so fresh, like you just went out into the garden and cut them. This image is absolutely gorgeous, love the fabulous pail where the flowers rest. 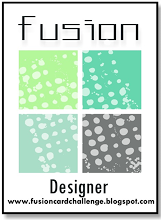 Awesome coloring, beautiful and simple design. Oooh! You used a PSX stamp! Love! I'm a new collector. Well I have one, but I love it! Want all the botanicals and I see this on ebay and you know I think I need it! Gorgeous! That is so beautiful, the colouring, the stamp ... just gorgeous! Wish I had that stamp! ... Such a pity PSX is not around anymore..
How beautiful this is! A beautiful image for your spring (and wishful thinking for me as winter looms)! It is my favorite flower, Karren! 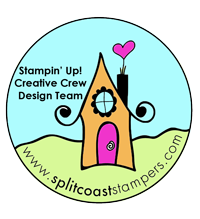 You've colored this fabulous stamp so beautifully, too! That is a fun challenge - since I'm still pretty new to this art! Wow Karren! I stay speechless in front of your stunning coloring job! I don't dare imagining how many hours it has required. Wow! Look at your stunning colouring - it's perfect! just stunning mf...love, love your colouring skills...amazing! 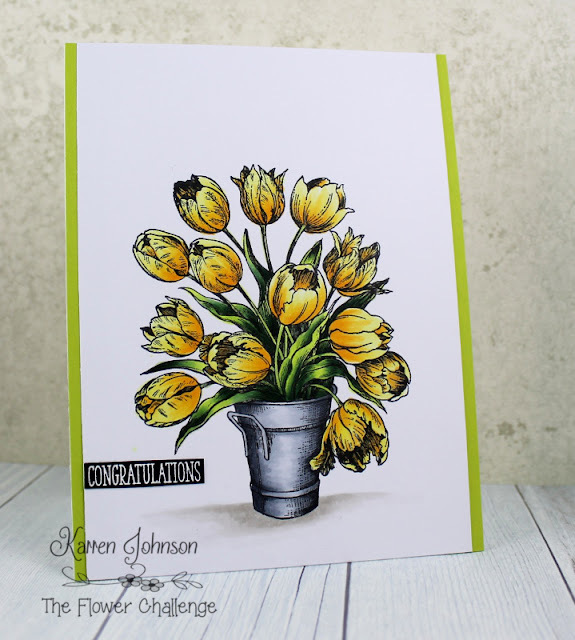 Yellow tulips are my fave.....this is fabulous......how long does it take you to color something like this? 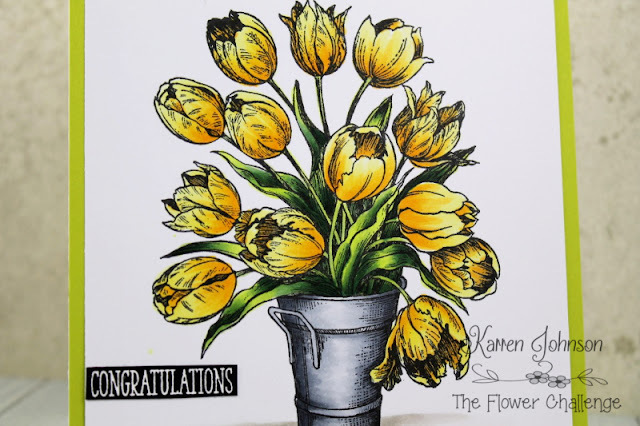 Beautiful choice for your floral stamp, Karren! I love, love, love your yellow tulips, and as always, your Copic coloring is perfect! You did an amazing job on the blooms and I really love how you added texture to the metal bucket...so realistic! 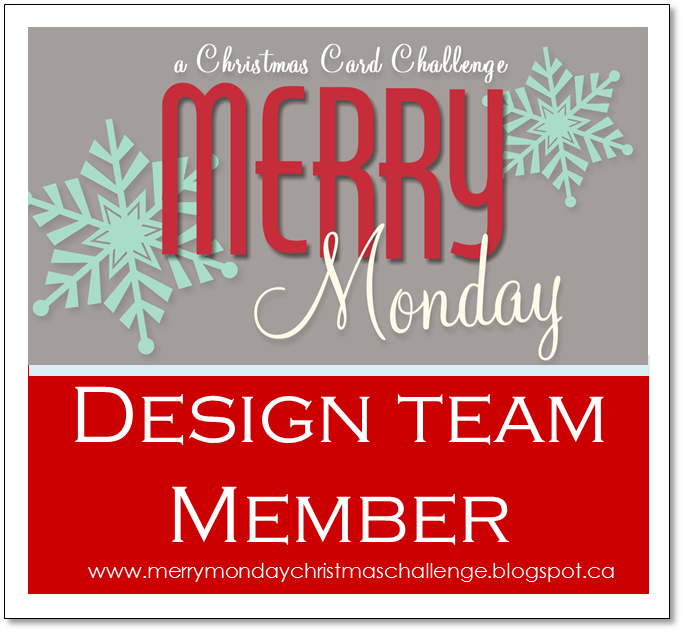 Great idea to add the lime green strips along each side, too...they really make your card pop! I didnt realise I didnt come and tell you just how stunning this card is. I love it. Absolutely beautiful.